Hold that cupcake. 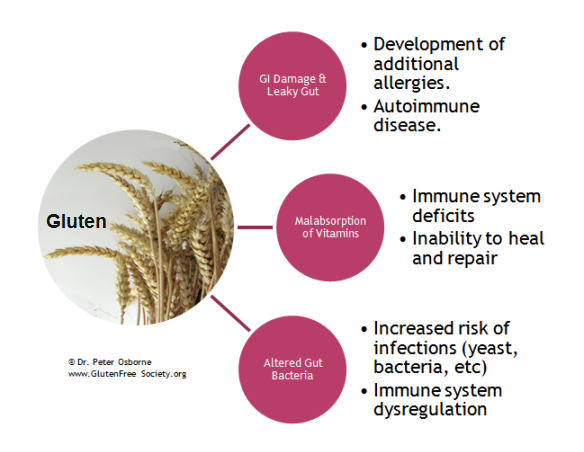 Do you know what the gluten-laden goodies has been doing your health? Be ready for a shocker. This recent article that I came across in The Atlantic featuring an interview with Dr David Perlmutter, who discussed that gluten and carbohydrates are infact at the root Alzheimer’s disease, diabetes, anxiety, thyroid disease, depression, and ADHD, just to start. His famous book, ‘Grain Brain: The Surprising truth about wheat carbs and sugar; your brain’s silent killer’, which garnered enormous response and becoming the New York Times number one best seller, and now being published in 15 countries. The book provides straightforward dietary solutions to prevent the illness we most hate and fear. It also goes on to describe how gluten carb are destroying our brain and gives solutions on how to prevent, or even reverse memory loss and brain disorders. If simple changes in our diet can help prevent a wide array of major health issues, then count me gluten-free!